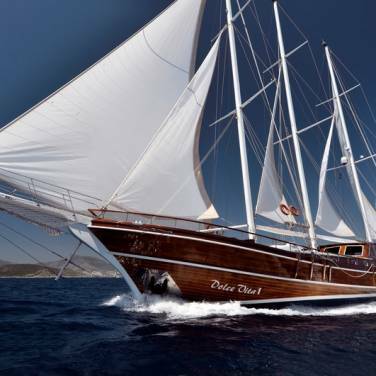 Luxury gulet Fortuna is a remarkable cruising gulet yacht of extraordinary quality and style, affording unforgettable sailing holidays in Croatia. 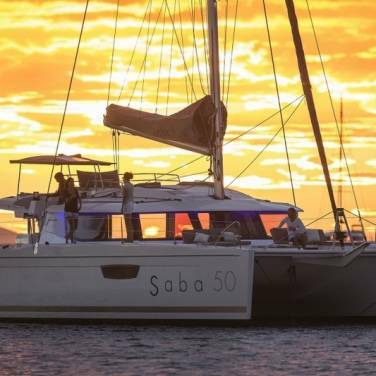 Fortuna has 4 double and 3 twin bed cabins, each one equipped with private en suite bathrooms, air conditioning and a sound system, accommodating up to 14 passengers aboard. A cozy seating and a dining area await you at the beautiful interior salon whereas the gulet's outdoor areas are simply perfect for sunbathing and relaxing. The gulet boasts a vast deck with two additional tables and a large sundeck with sun pads and mattresses. Both areas can be covered and offer you the utmost relaxation under the shade. There is also an outdoor dining area on the stern deck where you can enjoy a diversity of culinary specialties prepared for you by the professional cook on board. With an attentive crew of three, you can be assured of a high-quality service during your cruise. 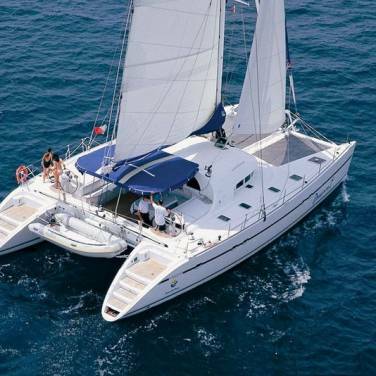 In order to provide its guests an active holiday arrangement, Fortuna offers tender, outboard engine, canoe for two, water ski, ringo riding, snorkeling equipment and fishing gear. By renting this splendid gulet, you can choose among many sailing itineraries, ranging from routes to intimate ports of the Croatian coast to the charming harbors of Montenegro. Whether you are looking for a romantic getaway or larger group cruises, gulet Fortuna provides its guests with absolute comfort and authentic charm, capturing the very essence of a Mediterranean charter. 3) Drinks and beverages are available from yacht’s bar by the bar price list.